There are a few food bloggers I follow pretty regularly. One of them is Barbara Austin of Serve it Forth, who I came to by way of David Leibovitz. 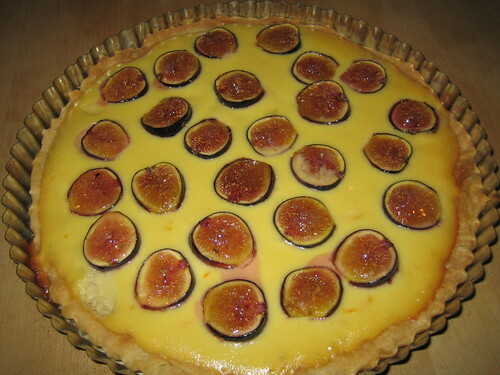 Recently, Barbara tweeted about this Fig & Chèvre Tart and I knew right away that I had to make it. I'm relatively new to figs. Not sure how I missed them, but suffice to say, I've bought a few different varieties this fall and I'm hooked. The recipe is super simple, and I thought I was keeping it that way by using a ready made crust. All I had to do was place it in the pan, right? Wrong. After some research, experimentation, and a crust landing in the trash, I learned that you need to weight your crust when you pre-bake it. If you don't, it will shrink up and you'll have no sides to catch the custard-like filling. 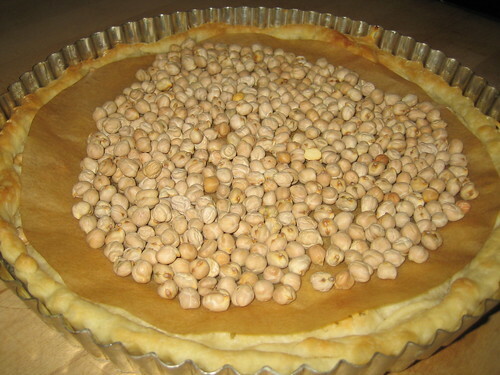 I used dried garbanzo beans as my weights, and also periodically pierced places in the crust with a fork when they'd start to bubble up. The end result? Serious raves from my guests. One left with the recipe in hand after telling me his wife never has seconds (but did this time!). And I believe David proposed to me again. Twice! Note: Barbara mentions the option of using honey instead of sugar for the custard, which is what I did. I think the honey, figs, and chèvre are the perfect combination. 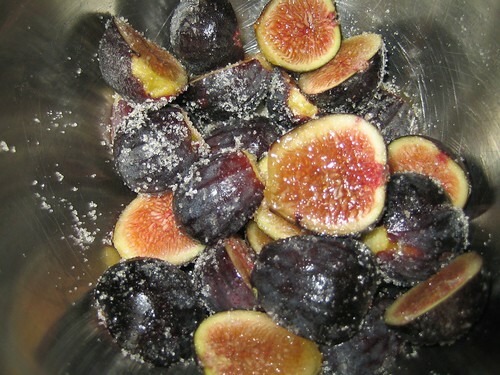 Tossing the figs with a bit of sugar before making the filling. This is a really lovely looking dessert. I am not familiar with figs either. 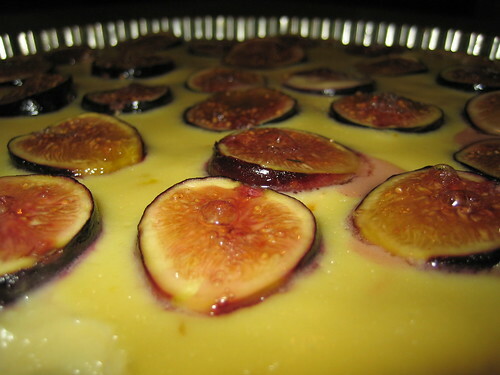 I've only eaten dried ones but I'm always intrigued by fig recipes and desserts that I see. Thanks for sharing your experience, definitely worth a try!